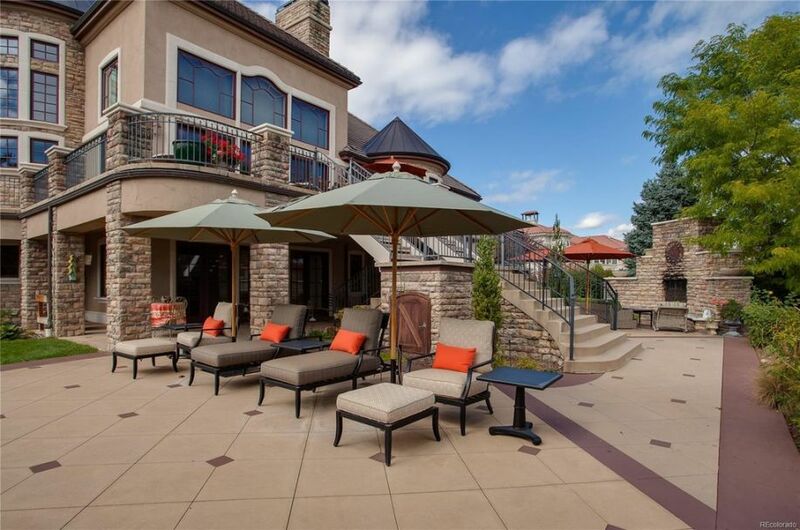 My favorite outdoor patio ideas are those that incorporate multiple dedicated areas for entertaining. I don't like my patio design ideas that crowd or overwhelm the space by trying to fit too much into one area. It makes much more sense to me to create a dedicated dining area, as well as a lounge space, and perhaps a fireplace area like this house has. I wouldn't want my chaise lounges and umbrellas to be right beside the hot fireplace (unless it was wintertime perhaps), nor would I want my fancier outdoor patio decor to be left in an uncovered area to be potentially damaged by the elements. I think that it is important to plan out each of the individual entertaining zones carefully so that you maximize the space effectively. I love outdoor patio ideas that take advantage of open lawn spaces to provide seating and entertaining areas. My favorite backyard patio ideas incorporate multiple areas for different types of uses like dining, lounging and cooking. Some homeowners have multiple dedicated spaces for this laid out around the property, while others fit it all into one area. This particular home has a fantastic layout because there is enough room to have multiple entertaining zones, yet the patio decor keeps the entire area cohesive and unified. I also really like how they utilized the potted plants to tie in both sitting areas so that they do not feel disjointed from one another. This gorgeous lodge house is filled with fantastic outdoor patio ideas that could easily be translated into the average home. 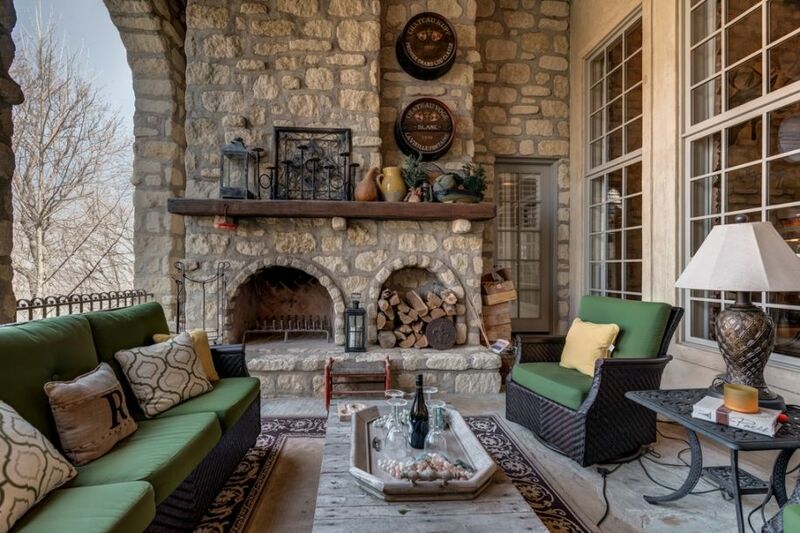 My favorite of the many unique patio decoration ideas that they used is the show-stopping stone hearth with adjacent log holder. It centers the entire patio design and makes the space warm (literally) and inviting for any type of gathering at any time of the year. 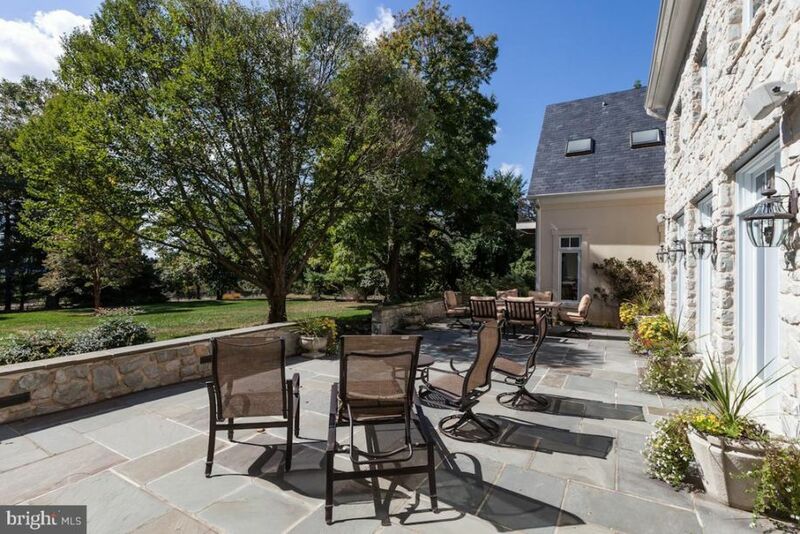 The vibrant green and brown patio furniture that the chose is the perfect accent to the natural stone materials used throughout the space and ties in the beautiful landscaping beyond the porch. It is dark enough to withstand the dust and grime that often coats outdoor furniture, while being colorful enough to bring some great style to accompany the rest of the patio decorating ideas that they used in the space. 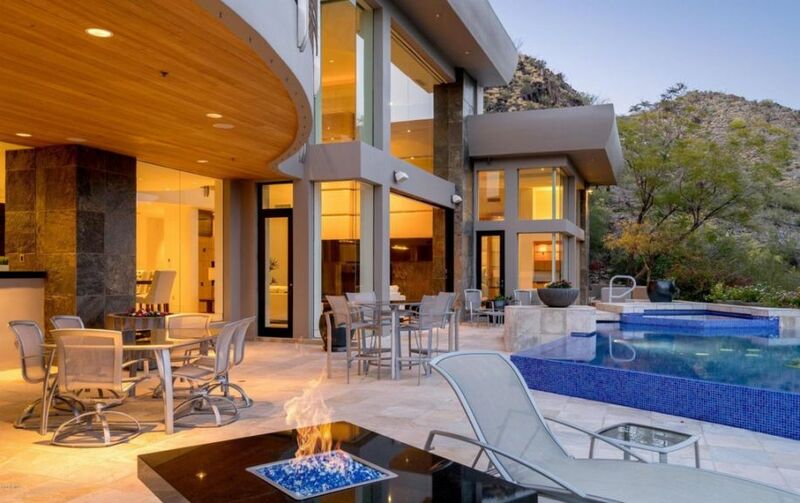 This gorgeous desert home is filled with outdoor patio ideas that are both inspiring as well as actually quite attainable in the average backyard. Of course many of us will not have the space (or views) to install quite so lavish outdoor patio designs, but we can take inspiration from different features and decor techniques to bring a similar vibe to our landscapes. For example, one of the characteristic features of this design is the open concept layout. All entertaining zones blend into one another, yet are separated by designated furniture patterns and light fixtures. The gas fire pit table breaks apart the lounge area from the dining space, but the wood paneled ceiling and sandstone pavers keep the two spaces unified, at least in design. Outdoor patio ideas that retain the elegance of indoor spaces can be hard to come by. That is why I was so attracted to this landscape -- there patio designs are very chic and have a traditional style that would look just as fantastic indoors. I really like how the high end details of the flagstone deck, tile stairs, and beautiful stone retaining walls make the space look very polished and not like a backyard play space. Each of these details are elevated by the beautiful shrubs and palm plants that are scared in pots and planter beds throughout the space. The vibrant shade of the greenery offsets the warm-toned stucco of the exterior and soft beige stone of the patio. 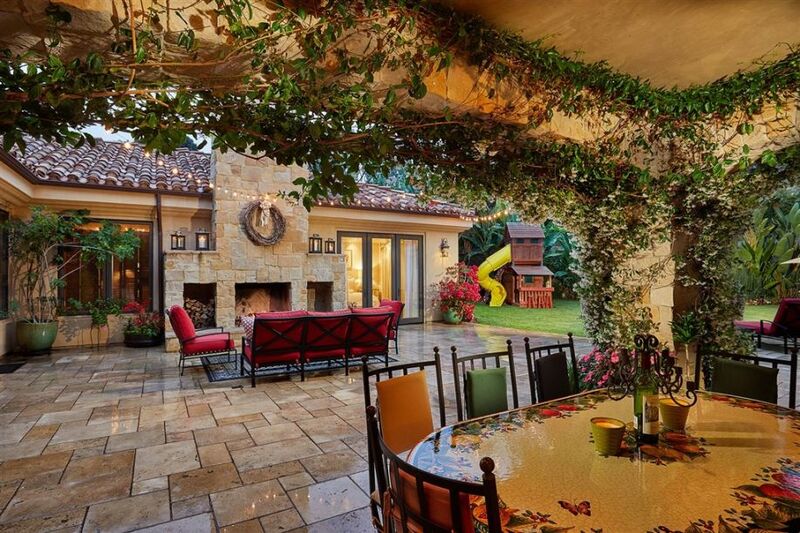 I love outdoor patio ideas like this that create a whimsical fairytale hideaway behind the home. This homeowner combined my favorite covered patio ideas that incorporate natural greenery from climbing vines, stone columns and a stucco ceiling, as well as charming lighting that give the entire area very cozy glow. In addition to all of these fantastic elements, they also brought in a vibrant color palette throughout the lounge chairs and dining set --an element that adds even more whimsy to the design. I would love to translate these inspirational photos into my own patio garden in order to make the space more appropriate for entertaining.